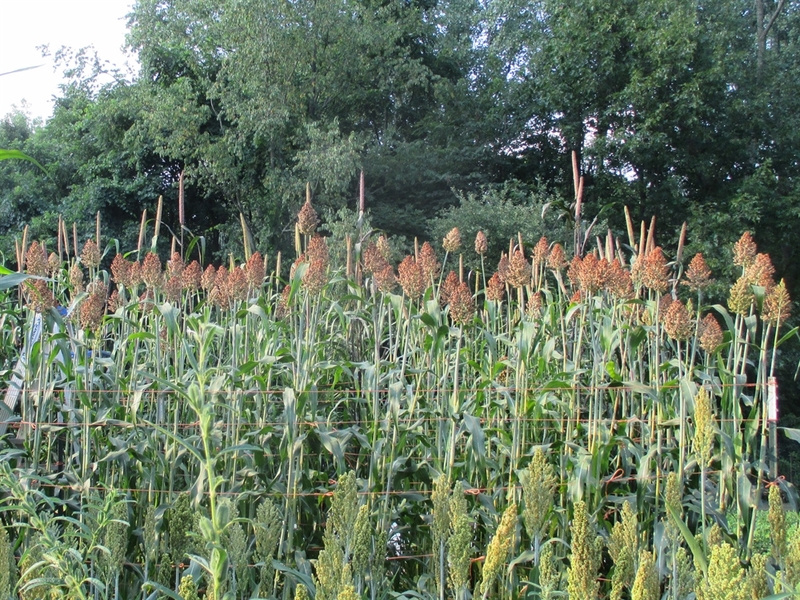 This popping sorghum is a landrace cultivar from India. 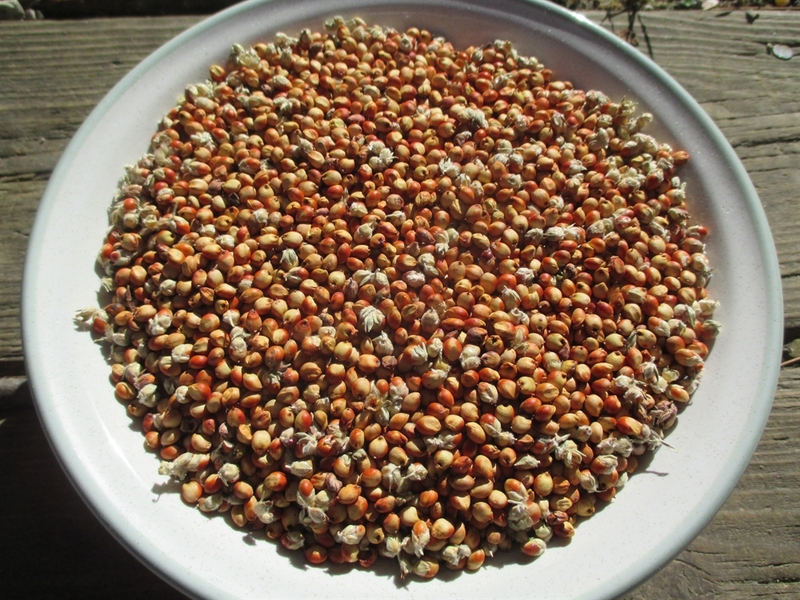 It is fairly early compared to Nerum Boer and is also considered to be one of the best culinary popping sorghum varieties available. I direct seeded on the 21st of May and harvested in the middle of September. 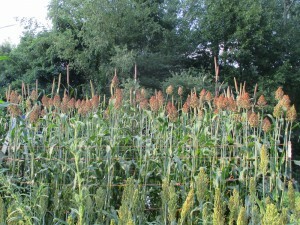 The plant reached a height of about 7′ and had no issues with lodging. Allu Jola is not suitable for processing into syrup.